This entry was posted on December 22, 2017 at 10:03 am	and is filed under Climate claims. You can follow any responses to this entry through the RSS 2.0 feed. You can leave a response, or trackback from your own site. Quote 1: Dr. Aplin said: “The atmosphere around Uranus is one of the coldest in the solar system, but still contains clouds and ice, like our own atmosphere here on Earth. “The changing brightness of the planet shows that something is happening to the clouds. We have found that the change is caused by two processes. Perhaps Svensmark has a point after all. 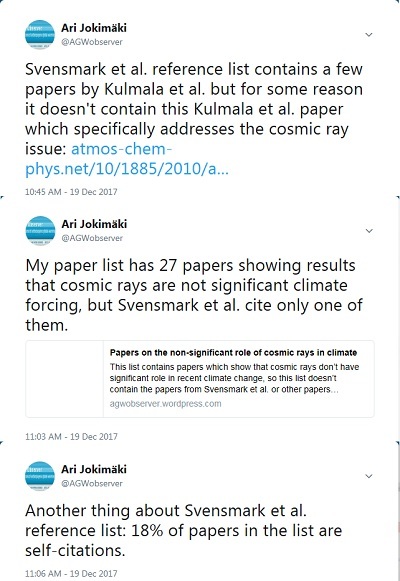 The paper list I mentioned above contains lot of papers reporting observations from Earth system showing that cosmic rays have not been a significant climate forcer in recent decades. 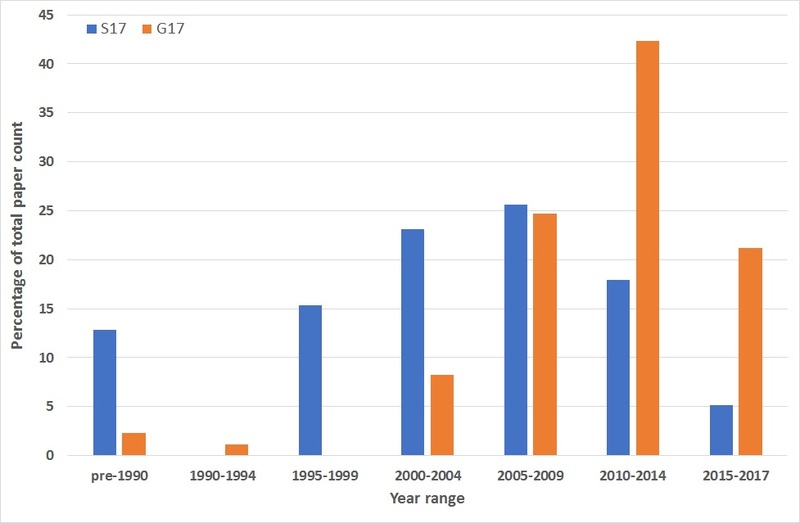 A study on Uranus system doesn’t negate those results for at least two reasons: 1) Uranus system is entirely different than Earth system and 2) our observations of Earth system are much better than our observations of Uranus system.